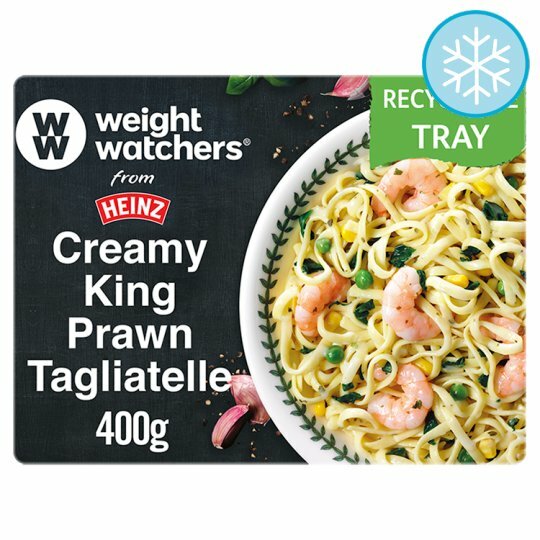 Juicy king prawns, garden vegetables and tagliatelle tossed in a creamy sauce. KEEP FROZEN -18°C., Store in freezer at -18°C or colder. Do not refreeze once thawed. Microwave (From Frozen): COOKING INSTRUCTIONS*. *These are for guidance only. All appliances vary. Although extra care has been taken to remove shell, small pieces of shell may remain.